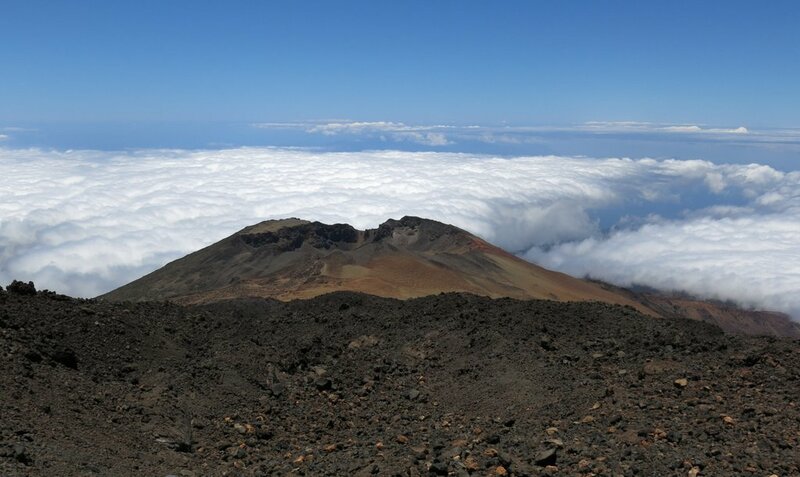 We took a bus tour from Santa Cruz de Tenerife (sea level), to the highest mountain in Spain – the volcano Teide 3,718 m asl (12198 feet). 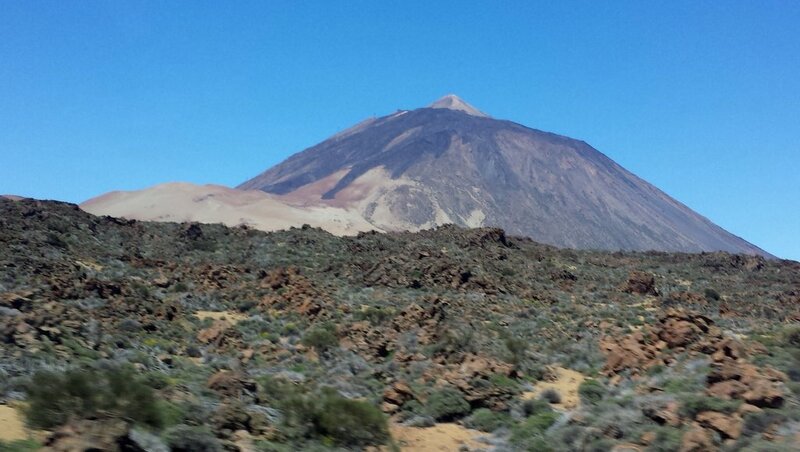 This picture is taken from the bus, which gets you to the bottom of the volcano. 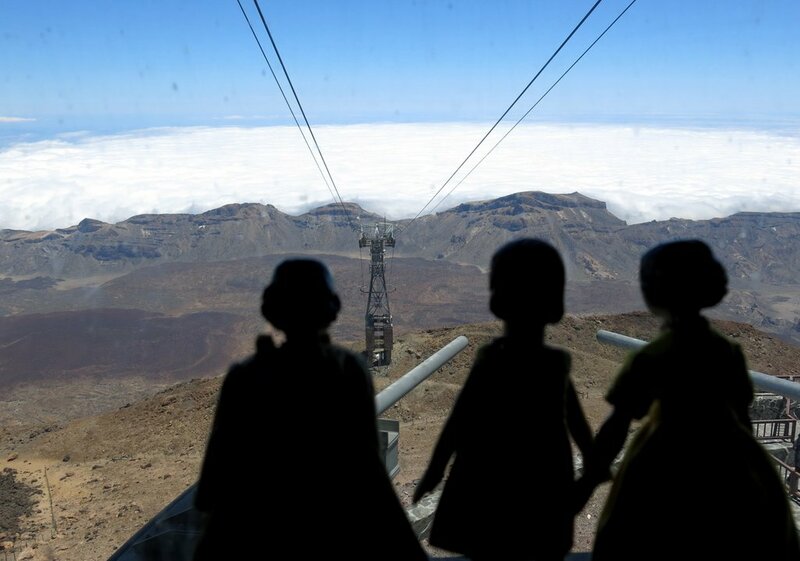 If you want to go higher up, you can take a cable car. 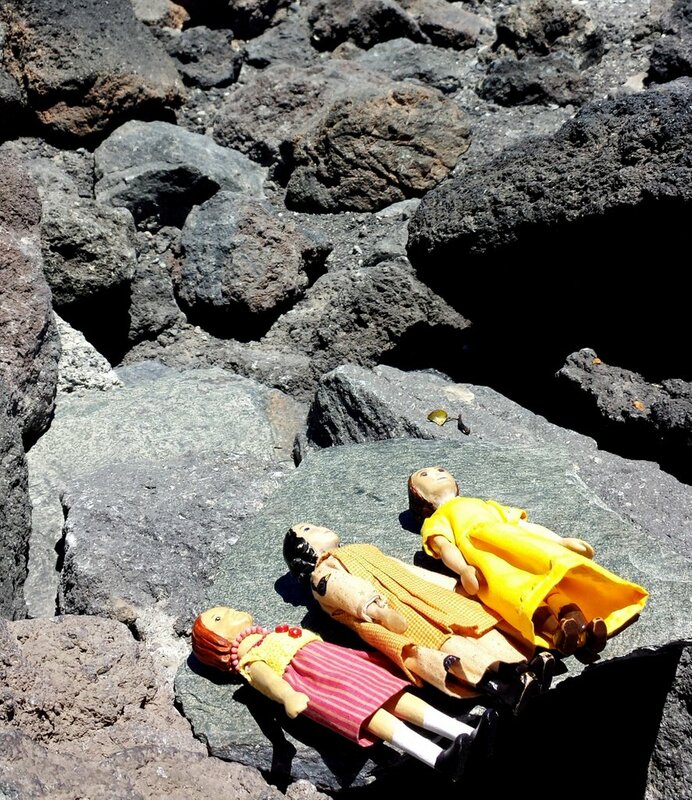 …and then walked along a wobbly, lava-rock trail. The peak is another 160 meters up, and air was very thin, so we did not feel up to climbing to the top. …and eventually the girls decided their xylems and phloems might explode if they walked any more – we were way above the tree line after all, so I carried them the rest of the way. 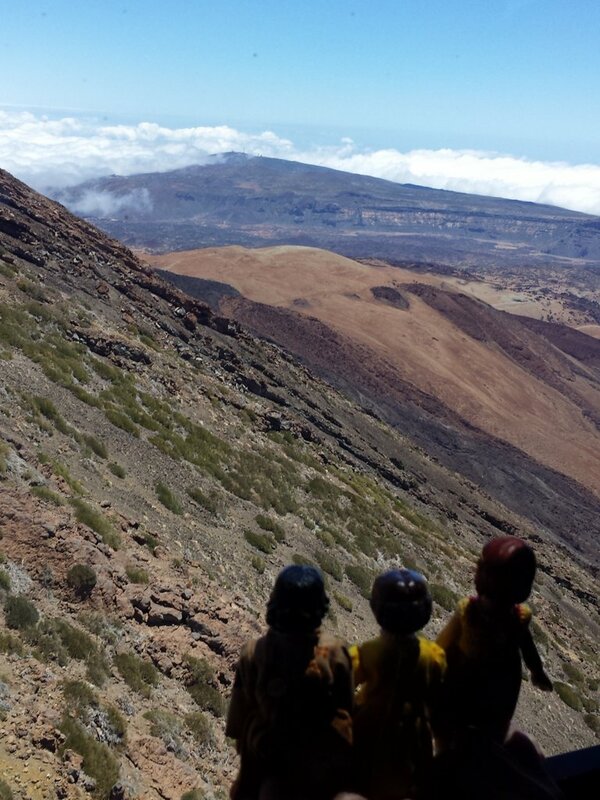 At the end of the trail we saw the multicoloured cone of an old eruption, and further in the distance you could get a sense of the “sea of clouds” that forms between 600 and 1800 m asl on Tenerife, and creates a moisture-filled zone part way up the volcanic slopes. 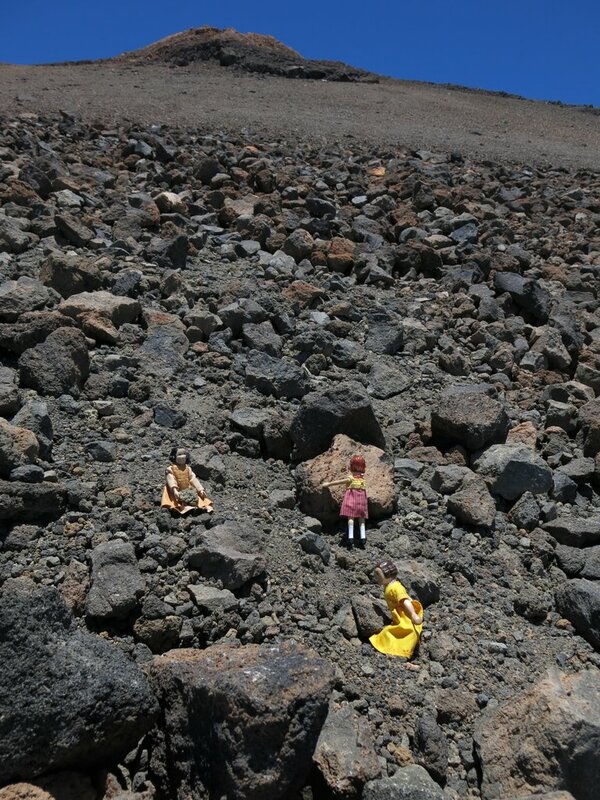 We enjoyed the volcano very much, but were glad to return to the more oxygenated foot of the mountain! 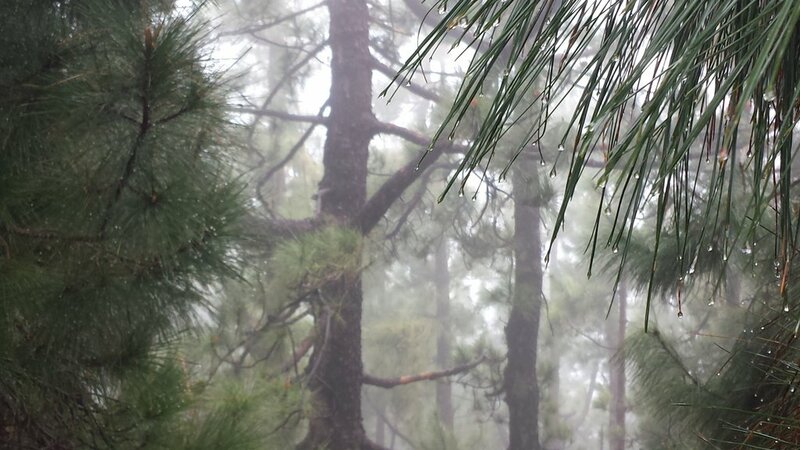 …and were lucky enough to spot a Tenerife Blue Chaffinch – endemic to the Canary Islands! 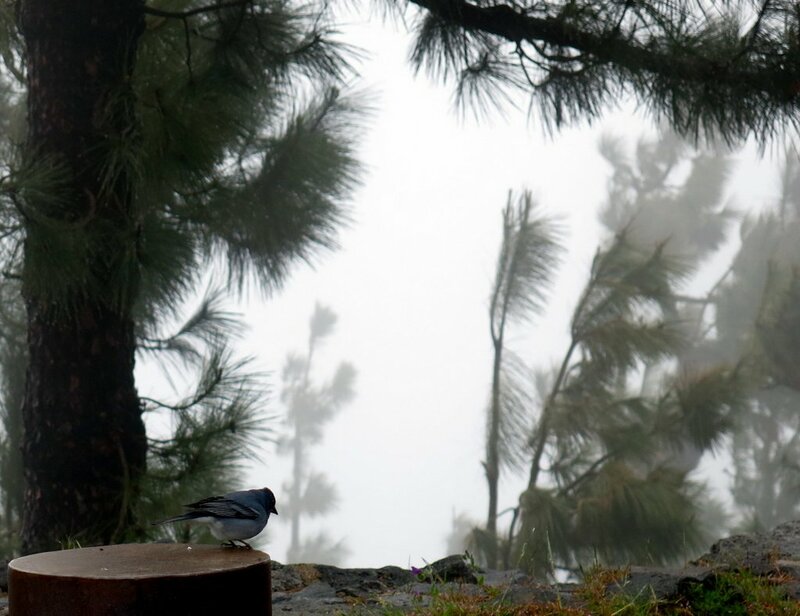 Click here for more information about this bird…and we recommend the trip to Teide if you visit Tenerife! A wonderful adventure! I’m sure the girls pegs were tired that evening. 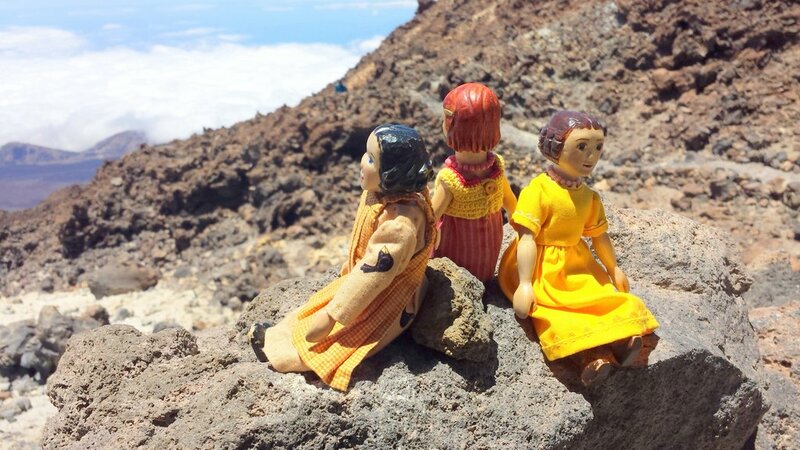 The girls did feel a little worn out after the hike…it wasn’t that long a walk, but it was strenuous because of the altitude! 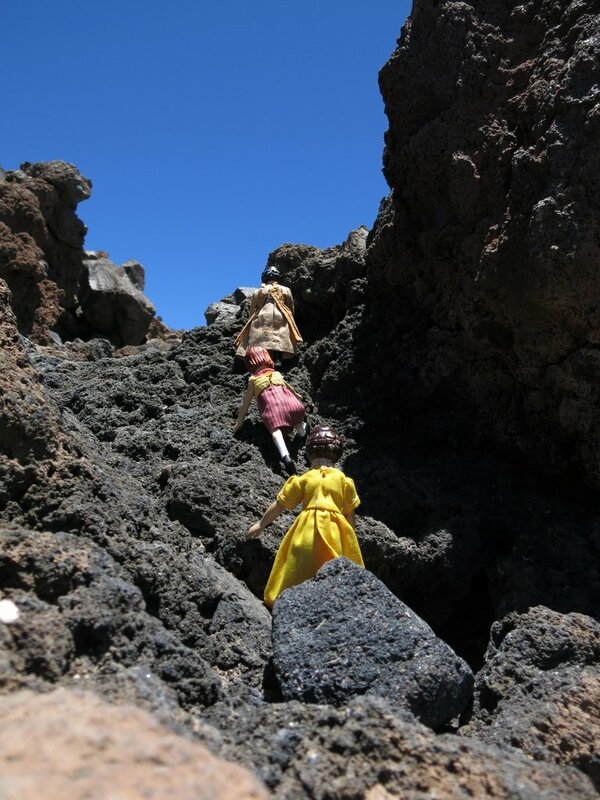 We were so glad we made it up to the volcano, a highlight of the trip to the Canary Islands! Just reading and seeing the photos made MY pegs ache! But what a view!! Thank you for sharing the girls adventure with us “stay at homes”. We will never forget this trip! Constance has hiked across the Spanish Pyrenees, so she thinks this was a very nice way to get to the top of the highest mountain in Spain! just goes to show that both humans and Hittys can experience altitude sickness. Constance, Tansy and Aurelia really enjoyed their trip up the mountain, and were extra happy to see the Blue Chaffinch! We weren’t actually sick, fortunately, just feeling the altitude!